The first thought that comes to our mind , when we read this book is “are we brave enough to live our dreams .” This book gives us strategies and inspiration to help to follow our path . ‘Manual of the warrior of light’ is an invitation to each of us to live our dream ,to embrace the uncertainty of life , and to rise to meet our own unique density . 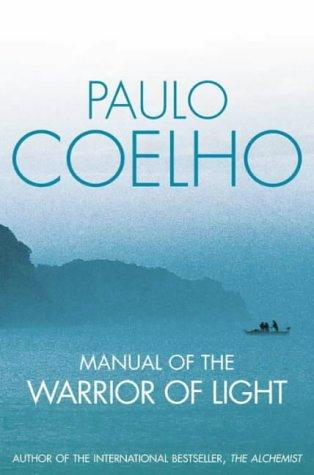 In his inimitable style,Paulo Coelho helps us to discover the warrior of light within each of us. the statement I enjoyed is "A warrior of light takes every opportunity to teach himself.” This book contains inspiring short passages. Moral:Live your dreams with determination.Appreciate the miracle of being alive.Accept failures and try to become the person we want be. I liked the book very much .It is so interesting and inspires us to follow our own path in a troubled world.